Subaru's best-selling Forester X All-Wheel Drive is now available as a Luxury Edition with extra features representing thousands of dollars of added value. The All-Wheel Drive Subaru Forester has set a new benchmark to become the best-selling Subaru model ever in Australia, passing the 150,000 mark. 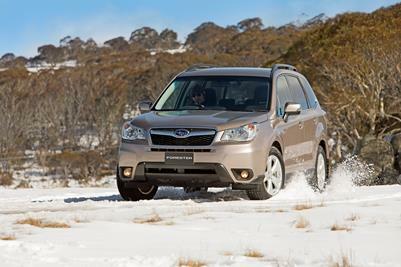 Forester has been Australia's top-selling compact SUV for the past three years. MY15 Subaru Forester in the snow.